The minute I opened the new Felicity Jane Sophie kit, my first thought was 'candy'! This color palette of pink, yellow, aqua and a dash of navy is one of my favorites. 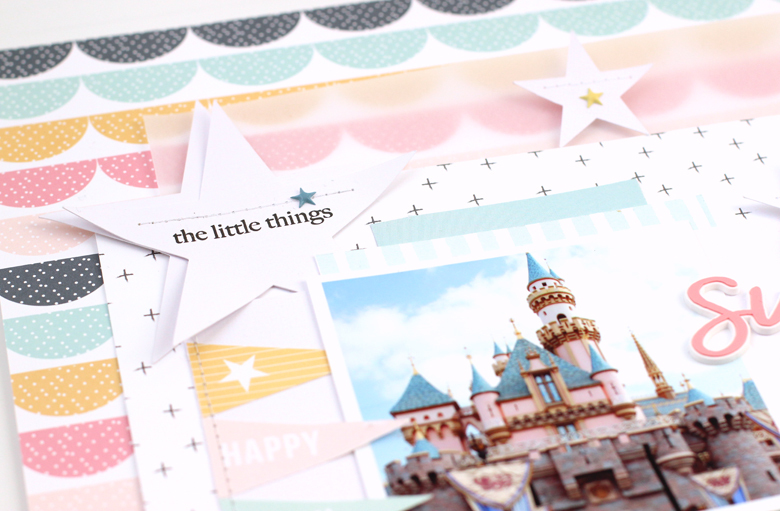 It reminded me so much of all the Disneyland pictures that I had waiting to be scrapbooked. I chose this favorite photo of the castle and sketched out an idea that would really highlight the magical theme. The floating stars were inspired by the puffy stars in the kit. I needed a place to ground them and using large stitched stars was just that spot. The pretty stars is where the idea started. By making one larger star and using the kit stamp to personalize it, a custom embellishment was created. It lends weight to the upper left hand corner of the layout, balancing all of the elements. The rubber charm "sweet" adds a nice dash of pink color to all the white in the center. It's also as a grounding spot for my story. To create a layered title that pops, I like to combine a script font with a bold one. 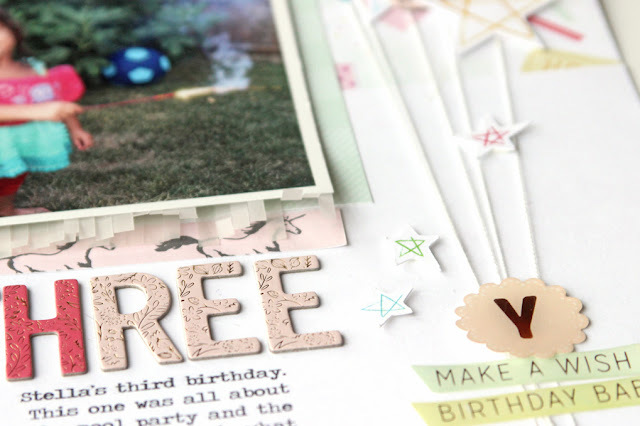 The Sophie kit is chock full of beautiful embellishments, a sweet color palette and an entire sheet of 12x12 cut aparts. Everything that you need to tell your beautiful little stories! SUPPLIES - Sophie Kit, Sophie Add On Stamp, Sophie Silicone Charms, Sophie Puffy Alphabet, Sophie Puffy Stickers. Hey there! Welcome of the Elle's Studio January Kit reveal. I started out by gathering all of my favorite pieces - the frosted hearts, white acrylic heart, beautiful sequins and all the purple bit and pieces. The story is here is all about one of my favorite days in October. It highlights photos from breakfast and my sinful indulgence of cannoli French toast (only in Jersey). I want to remember the ordinary, it's not all about the events! The photos for this spread have a cool tint to them. It was probably equal parts the lighting of the Fall weather and that Count shirt I love. By picking out complementary colors in the kit, the feel of the photos and story shines through. Join me tomorrow when I'll show you how versatile the Elle's Studio January kit is - we'll go warm this time! 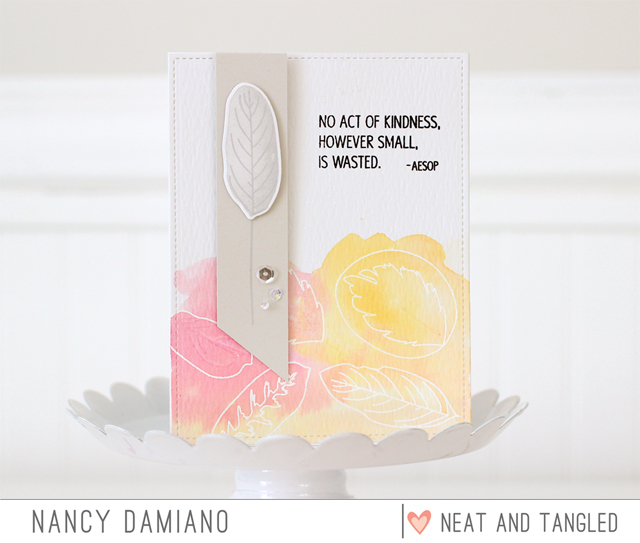 Welcome to the January Neat and Tangled release featuring the Calathea stamp set. It's a beautiful collection of leaves that can be nested. I love the intricacy of this design! I used the ultra white Tim Holtz Watercolor paper for the base of the card. The leaves were stamped using Hero Arts White Puff embossing powder. I used the Bella Blvd Illustrated Faith Watercolor set for this card. 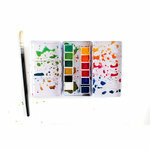 This is my current favorite watercolor set. I love how rich and creamy the palette is and the colors mix beautifully. 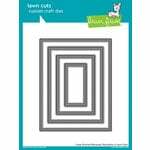 After stamping the sentiment with Versafine Ink, the entire base was cut out with a stitched rectangle steel die from Lawn Fawn. 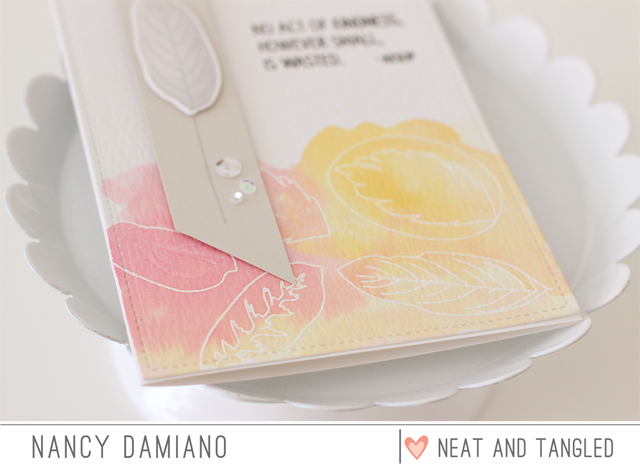 I love the finished edge it lends to my card base. Make sure to visit the Neat and Tangled blog today for more Calathea Stamp inspiration from the design team and a chance to win a prize pack! Don't forget to leave your comment here to be eligible for a prize. This month starts a new year on the Studio Calico team. I'm excited to use these kits and stretch creatively! 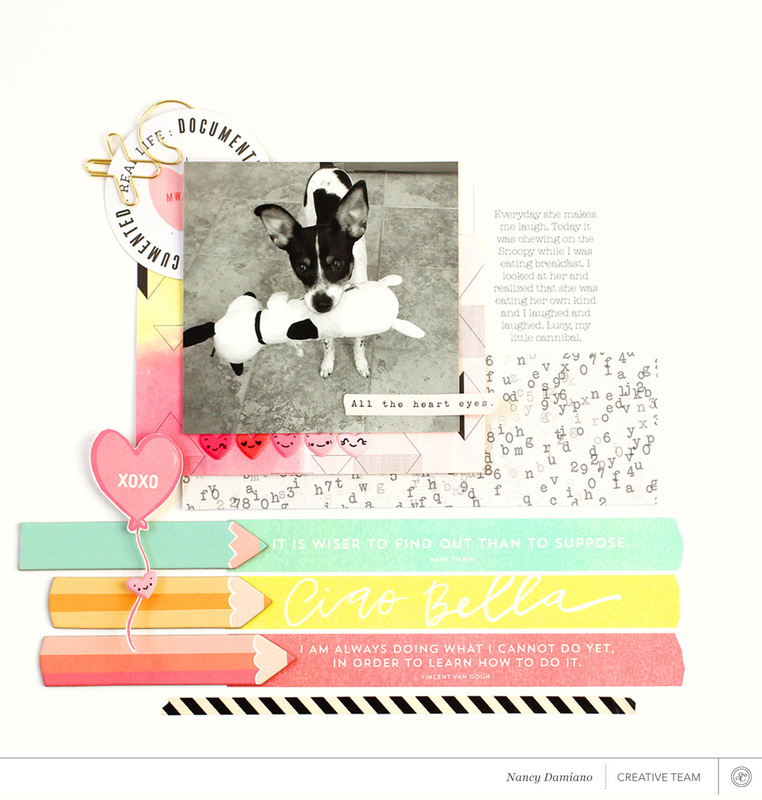 My first assignment this month was to use the January Roman Holiday Stamp Subscription set. The design centers around the stamped bordered. Layering very light gray flowers with black script words creates a pretty pattern that centers the design. The story is one about my boy + husband. While the photo is from a recent vacation, I decided to journal what I was thinking when I first looked at the photo rather than the typical "who, what, when". Placing the words + photo on a bed of patterned strips calls attention to the point! My favorite embellishment in the Roman Holiday kit are the chipboard pencils. Here they create a border pointing to the vellum stickers with a bold splash of color. My second favorite? Those little emoji heart puffy stickers. How cute are they? By tucking them just under the photo, it draws the eyes straight to the star - my dog Lucy. The story is about a funny moment when I realized that my little black and spotted dog was chewing on a black and spotted dog. My first thought was - cannibal! Lucy makes me laugh all the time and I thought this story was an important one documenting our every day lives. This assignment was to use the Funny Face Add On which is birthday themed. Here the story is about my niece and her third birthday. 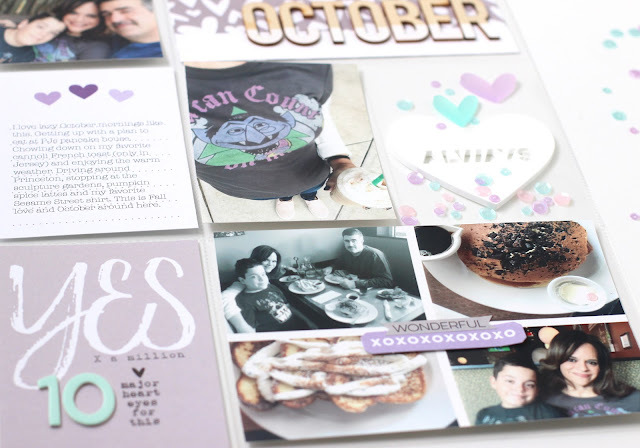 I chose this photo because I liked how it matches the patterned paper. My favorite part of this design are the balloon strings. The balloons in the pattern reminded me of the Disney movie "Up" and that's where the idea to extend the string design came from. Thanks Disney for the spark! 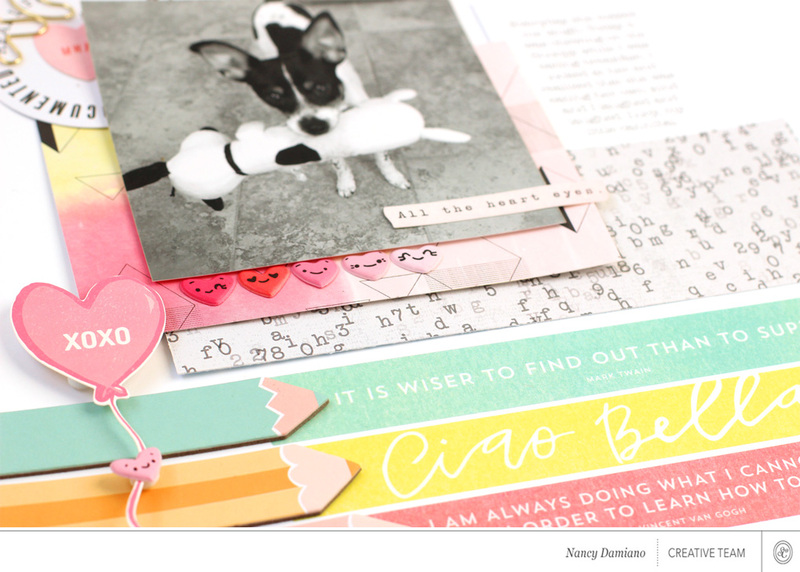 The Studio Calico Roman Holiday kits and add-ons are perfect for creating a spark of design and telling your stories! Neat & Tangled Release: Nuts for You! Welcome to the January Neat and Tangled release week! This is a new team and craft for me and I'm so excited to get started. I like challenges and especially ones that kick in at the start of a year. Let's get started with Nuts for You. 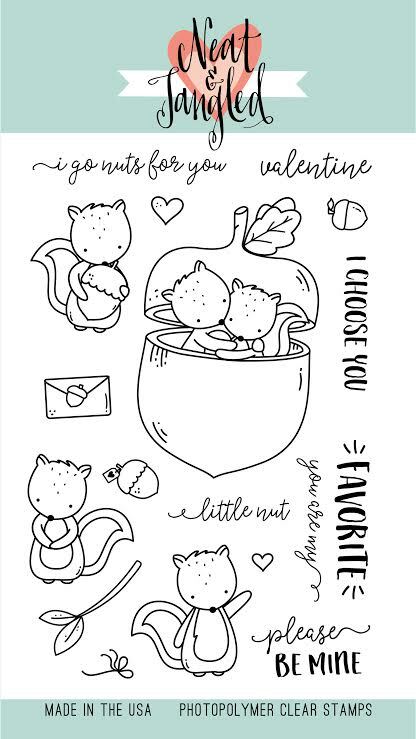 I tend to lean towards designs that are whimsical and clever so I'm in love with these little squirrels. I've been practicing with Copic coloring since this summer, taking classes and practicing, practicing, and practicing some more. That's the real key. Well, that and loving color theory (which I do!). 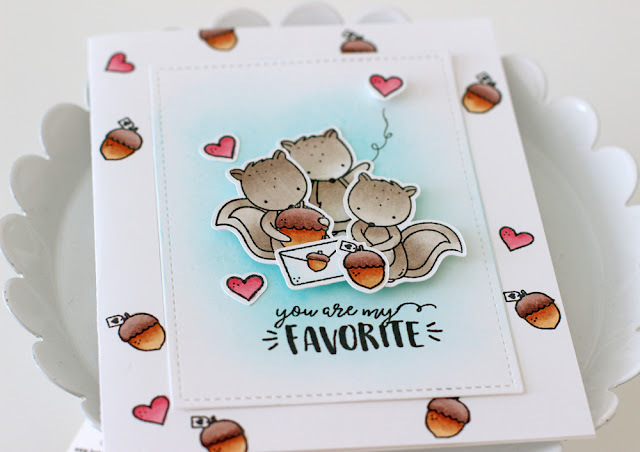 Three little squirrels are layered on a background of Distress Ink. The splash of color and greeting at the bottom ground the cluster. The squirrel in the center is glued down flat, while the other two are lifted with Pop Dots. This gives the card great dimension. 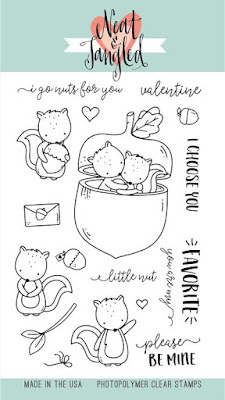 I drew in a squiggly line connecting the center squirrel and the floating heart to tie in the background design. 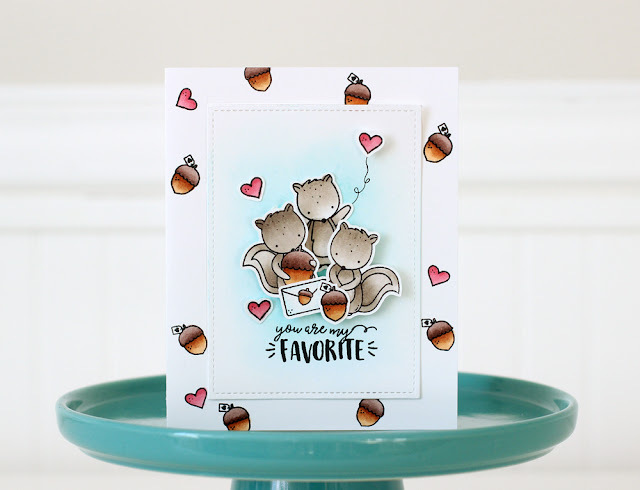 Visit the Neat and Tangled blog today for more projects from the design team using Nuts for You and a giveaway! Don't forget to leave your comment here to be eligible for a prize pack.